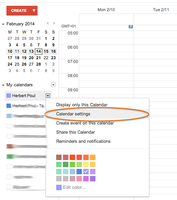 This page gives a brief tutorial how you can find the icalendar link for your google calendar. First, sign in to google calendar at https://calendar.google.com. 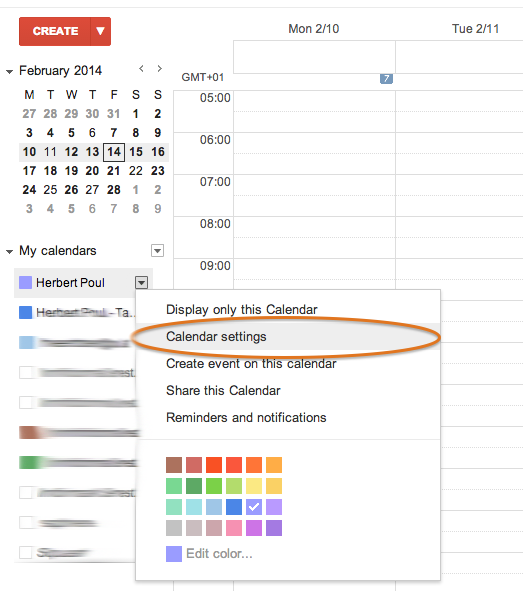 In this dialog find the private address for your calendar and click on the 'iCal' button. This will open a popup dialog with your private calendar URL. Select this URL and copy it into your clipboard. Now you can use this URL to import your calendar entries into WorkTrail.